Even though the Electors vote in their meeting in each state, no real decision is made by any individual Elector. The whole idea of voting is to make a choice and make it known what that choice is. This is true whether the vote is a nomination such as the original Electors made or a final election. Freedom depends upon free choice. The current practice is that those who want to “run” for president nominate themselves by announcing their intention—“throwing their hat in the ring”, so to speak. Each political party determines from among those party members “running” for president who their candidate will be. This is done by campaigning, mudslinging, debates, primary elections and state and national party conventions, the very effects George Washington dreaded. None of this rabble rousing has any basis in the instructions contained within the Constitution. The vice-presidential candidate is chosen as a running mate by the party’s candidate for president. The voters in the general election vote for a president/vice-president team. The results of the election are then superimposed back upon a system that makes it look like the Electors chose the president/vice-president team. 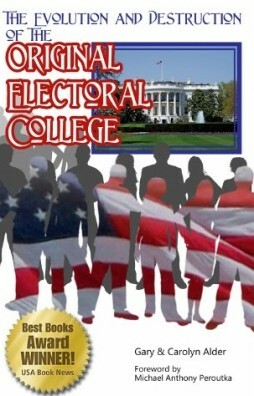 Within each state, each political party chooses their own slate of Electors. Each party therefore has a separate set of Electors who will “vote for” their president/vice-president candidate team if that team wins the statewide popular vote. The Electors in this regard provide only a formal confirmation (rubber-stamp) of the outcome of the popular election which everyone already knows. The media blasts the results around the world before the polls even close on election day.